A friend of mine received a flyer in his letterbox last year from the church across the road. It was an invitation to church. No, it was a plea for help. The letter came from concerned members of the congregation pleading the community to “please attend their church” or they would face closure. Twelve months later the bulldozers moved in and demolished the church building. In 2001 there were 10,447 Protestant congregations in Australia, Between 1991 and 2001 there was a 6% decline in number of congregations resulting in a 3% decline in overall weekly attendance. If my maths are right that's a loss of 627 churches in ten years. In fact, we lost more when you factor in the number of new starts during that period. According to the NCLS, one denomination lost a staggering 22% of it's congregations in this ten year period. That's not decline, that's disaster. If the overall decline has continued, the number of congregations today is probably just over 10,000, with a corresponding drop in weekly attendance. That means in the last fifteen years we have lost over 1,000 churches throughout Australia. We'll know for sure when the National Church Life Survey 2006 is released. In 2005, there were 1363 Catholic parishes in Australia. I'm not sure if that number is increasing or declining but the number of priests and membership in the Catholic orders are is serious decline: Where have all the Priests gone? My guess is the Catholic church will be reluctant to close parishes but numbers of active Catholics are in decline. The Protestant mainline is shutting churches down and declining in regular attendance. That trend will not go away. The evangelical-pentecostal-charismatic churches are planting churches and growing but not at a fast enough rate to stem overall decline of the church in Australia. The Emerging church is a relatively new phenomena in Australia and I'm not aware of accurate research on it's impact. 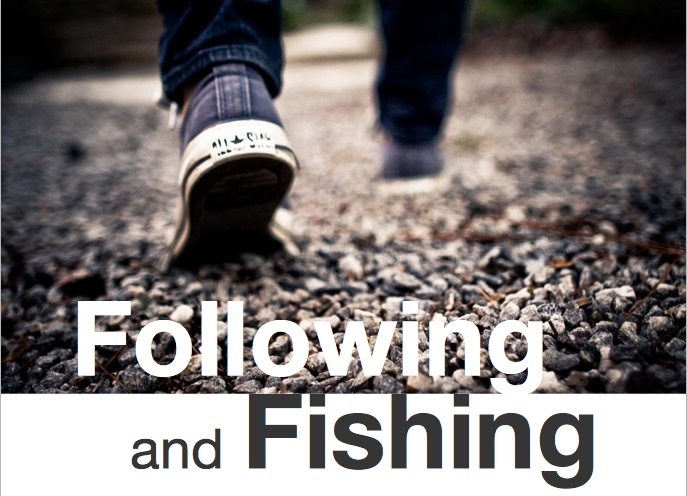 We don't really know how many Emerging churches there are or how many people are actively involved. We do know that Emerging Christians love to blog. 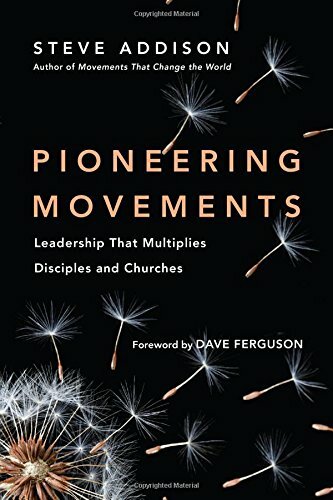 My impression so far is that most of the Emerging growth has come from migrations out of existing churches and the movement is not yet seeing significant evangelistic growth. What's the best way to turn this reality around? 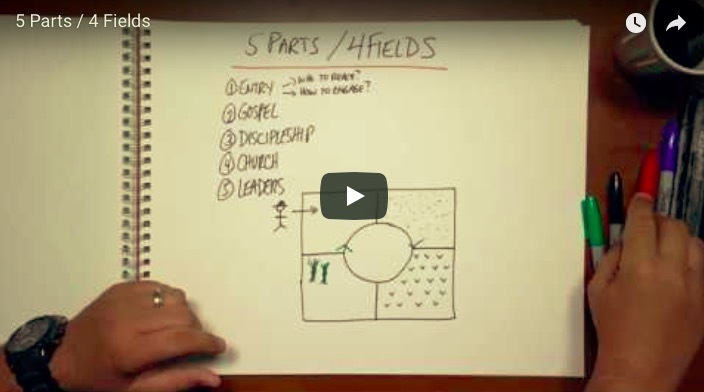 Plant healthy missional churches. One thousand would be a good start. Who wants in? Are you in the first two years of an Aussie church plant, or know someone who is? next1000 is awarding a prize of a $50 Koorong voucher for the best church planting story and photo submitted before February 28, 2007. I just hope a $50 voucher doesn't qualify as “checkbook journalism”! 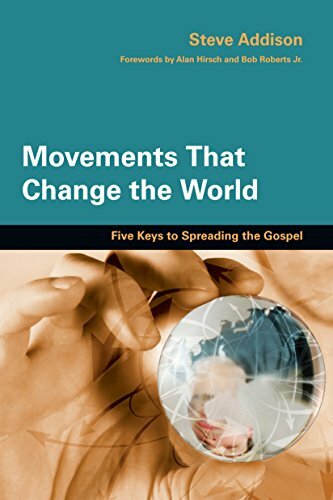 Rodney Stark has been crunching the numbers on the spread of the Christian movement in its first century. He has examined data from 31 Roman cities that had populations of at least 30,000. Here are his findings on the spread of the Christian congregations. 1. Port cities tended to have Christian congregations sooner than inland cities. Despite their reputation, Roman roads were still much inferior to boats for travel. Rome was a waterfront empire surrounding the Mediterranean. 64% of port cities had a church by the end of the first century while only 24% of inland cities had a church that soon. 2. The closer a city was to Jerusalem, the sooner a city had a Christian congregation. Christianity’s base was Jerusalem until it was forced to move by the Jewish Revolt. Most cities (71%) within a thousand miles of Jerusalem by the year 100, compared with only one (7%) of the cities further away. 3. Hellenic cities (Greek language and culture) had Christian congregations sooner than did Roman cities. In the first century far more Jews spoke Greek than Hebrew or Aramaic. When Paul stripped the Jewish prerequisite from Christianity, he not only made the faith open to Gentiles, but offered the Hellenized Jews an attractive religious option, which many of them took. Hellenic culture was less conservative then the Roman tradition. There was remarkable compatibility between Christian doctrine and Greek philosophy. Almost two-thirds of the Hellenic cities had a church by the end of the first century, and no Hellenic city lacked a church by 180. In contrast, two-thirds of less Hellenic cities still had no church in 180. 4. Larger cities had Christian congregations sooner than smaller cities. The more urban a place, the higher the rates of unconventionality. The larger the population, the easier it is to assemble the “critical mass” to form a “deviant” subculture. Three quarters of larger cities had a church by the year 100, while only a third of smaller cities did so. Stark applied “regression analysis” to the figures and found that both Hellenism and city-size had significant, independent effects on Christianization but that the effect of Hellenism is substantially greater than that of city-size. Firstly, I should have spent more time studying mathematics in school. Secondly, context matters when it comes to the spread of church planting movements. Thirdly, Tim Keller is right—cities are critical. Reach the cities and you'll reach the world. Fifthly, external contextual factors are not everything. Christianity faced the same contextual factors, yet it triumphed over paganism and other rivals because it differed qualitatively from them. Lastly, God is the sovereign Lord of history. ? The world of biblical scholarship is in turmoil after the discovery of a lost epistle purporting to have been written by the Apostle Paul to an Australian church planter known only as “Bruce”. Despite repeated attempts, the following NT scholars were unavailable for comment: F. F. Bruce, C. F. D. Moule, and Rudolf Bultmann. In the interests of academic freedom we decided to publish the document and allow you to judge its authenticity. Dear Bruce, grace and peace to you in Christ Jesus. Thank you for your letter enquiring about the lessons I have learnt from years of founding new churches. I hope that what I have to share is helpful to you as you seek to plant your first church ‘down under’. Since my conversion, planting new churches has been the consuming passion of my life. The goal of my preaching has always been not just the conversion of individuals, but the formation of new Christian communities. First of all, your ministry in starting a new church must be born out of your own personal encounter with God. Then later, as a group of prophets and teachers in Antioch was worshipping the Lord and fasting, the Holy Spirit spoke and set apart Barnabas and me for a ministry of evangelism and planting new churches. A church planter must know that it is the Lord who calls you to this ministry. Others should confirm the calling, but the authority to start new churches must be born out of you own relationship with Christ— for He is the Lord of the church. Second, Bruce, don’t go alone. You’ll need a team who share the vision. Jesus normally had His disciples with Him when He ministered. And when He sent them out, it was in twos. It’s my practice to work with at least one other person whenever I can. So the team doesn’t need to be large. You need the strength that a team provides, but you don’t want to swamp the people you are trying to reach with too many outsiders. If you wait until you’re ready, you’ll never go. For instance, don’t think that everyone who starts a new church needs to have a formal theological education as I do. In fact, I’m the exception. None of the Twelve had formal training. 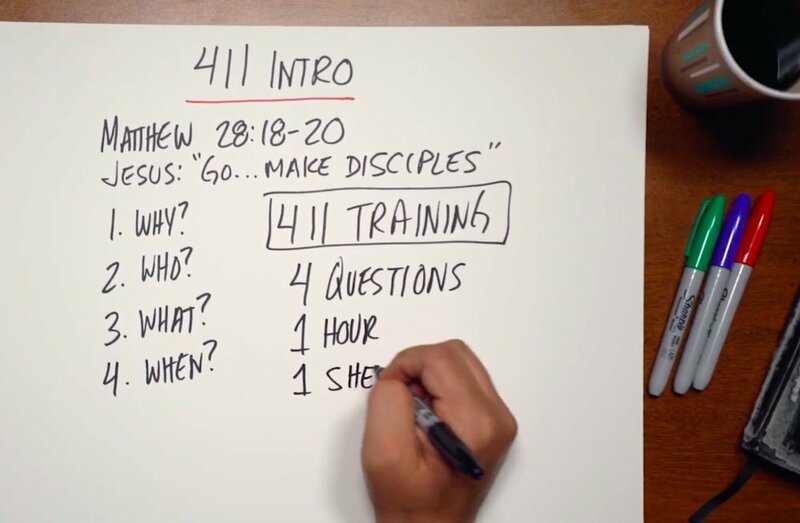 Jesus simply taught them everything they needed to know on the job. That’s how I train my team. In the same way, don’t wait until you have enough money. You can raise support from existing churches and believers so as not to be a burden to those you are ministering to. But if you don’t have enough, be willing to work with your hands, as I do. Fourth, rely on the Holy Spirit. If God has called you, He will empower you and guide your ministry. That doesn’t mean it will be easy. On the contrary, expect trouble if you are doing God’s will. 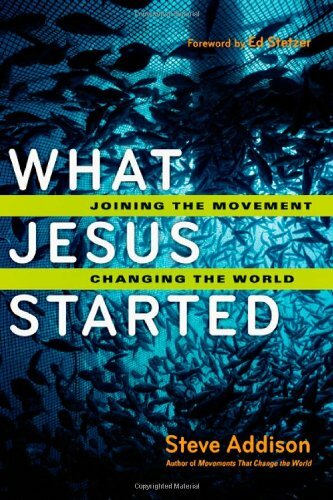 You cannot make disciples and start new churches without God’s help. How else do you think we spoke so boldly to unbelievers, and how else was our ministry confirmed with signs and wonders? I had a strategy to plant churches in major urban centres. But at all times my plans were overruled the intervention of the Spirit. Our ingenuity is a poor substitute for the power and guiding of the Spirit. Fifth, remember your aim is not only to win individual disciples, but to birth Christian communities. Your job is complete in a city when a network of churches meeting in homes is formed. After prayer and fasting, you can appoint the first group of elders. But don’t suffocate the new church by staying around too long. Leave behind a body in which every member is gifted for ministry. After you go, trust the Spirit to guide them. Of course, you will need to be in contact with the new churches from time to time. You are their father in Christ. Visit them, write to them, send team members in your place. They will have problems. Churches, like individual believers, can make a mess of things. Don’t remind me of the Corinthians and the Galatians and the . . . Never mind. Finally, don’t just start a new church. Start a movement to goes to the ends of the world. The only way to reach your nation with the Gospel is to start churches that will in turn start churches. Living organisms reproduce themselves, so encourage this in every church you start. In the early days, the Jerusalem church was content just to be the church in Jerusalem and draw the Gentiles to the light. This was despite Jesus’ command to go to the nations. It took the persecution that arose out of Stephen’s death to send them on their way preaching the Good News. I hope it doesn’t take a similar set of circumstances to motivate Australian believers to reach their nation through starting new churches. Also, don’t think the mission ends with Australia. The church in Australia will never fulfill it’s calling it sends out pioneers to the ends of the earth. I will follow your progress with keen interest. For further information on my church planting strategy, read my letters to the churches or Luke’s account of my ministry.